Everyone can stop searching the silver bracelet section of every Santa Fe gift shop and stop peeking through the scarf rack at Loehmann’s with a flashlight, because Johnny Depp has turned up! Just a quick minute after the press in Australia declared Johnny Depp missing and Page Six said that his marriage to Amber Heard was in a freezer at the morgue, he and his wedded piece turned up the smiles during a happy couple photo-op show for the paps in Brisbane today. Johnny is back in Australia to finish shooting Pirates of the Caribbean VVVIIII: A Check Is A Check, Arrr after he took some time out to let his jacked-up hand heal. Sources said that Johnny was supposed to be back in Australia last Thursday, but he didn’t show up and although the crew members didn’t miss his hair lard splattering against their faces when it got windy, they were pissed at him for holding up production. But he’s baaaaaaaack! 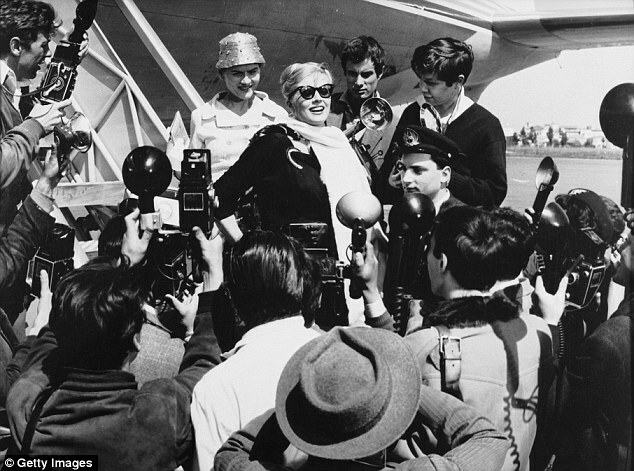 As Johnny thought to himself “For where am I?” Amber acted like she was Anita Ekberg in La Dolce Goddamn Vita by giving it to the paps after they got off a private jet. I don’t know why, but these pictures gave me shades of “Anna Nicole and J. Howard Marshall at Christmastimes.” But seriously, the haters can slather a thick layer of Johnny Depp’s pit foam on their hate and eat it. Because they are together and happier than ever. Can’t you tell? Johnny Depp is alive and well…he’s alive, and their marriage is alive and well! And I’m sure right after these two strolled into the airport, Amber let go of his arm and got into a trunk which her assistant pushed past the paps and onto that private jet headed back to the US.